Hastings Direct have appointed Andrea Gray as Site Director as the Leicester Contact Centre went ‘live’ 5th May 2015. The contact centre, which went live 5th May 2015, will initially employ 30 staff at a temporary site until a permanent site is found within the City which will be home to 200 staff by the end of the year. Gary Hoffman, CEO, said: “Welcoming our first colleagues to our new site on the 5th May is an exciting step for us. It puts us firmly on Leicester’s map and supports the next step in our growth and expansion plans. “Given Andrea’s vast experience as a people leader we expect the Leicester team to grow quickly. The team will fast become part of our Hastings family, working alongside colleagues in Bexhill and Newmarket to help us maintain our refreshingly straightforward customer service. Andrea Gray has significant experience in setting up and running large scale operational centres including most recently Nuffield Health and outsourcer FTS. Andrea also has considerable knowledge of financial services having previously worked at Equity Insurance and American Express for five and eight years respectively. Hastings Direct is looking to recruit a mix of team leadership and customer facing positions. For more information about how to apply please email: recruitmentteam@hastingsdirect.com or visit Hastings Careers Website. 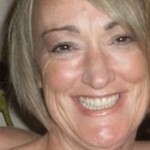 Be the first to comment on "Hastings Direct appoint Andrea Gray as Site Director at Leicester Contact Centre"